There are few similarities between flatbed trucking and hot shot trucking. The question is not just moving your goods from point A to point B, you need to focus what the additional benefits are. Hot shot trucking is when drivers use their personal vehicles to haul a trailer. The vehicle can be a van, truck or SUV. This thing has risen in popularity as it is easy to conduct the process. But hot shot trucking is beneficial when the loads are less in number. In the case of flatbed trucking, you can carry huge loads to different cities. One such example is the five car hauler. So, what are the advantages of flatbed trucking? Flatbed trucks are beneficial in lots of ways. Flatbed trailers offer a large space to carry heavy loads, thus providing enough room for larger freight. With a flatbed, transporting larger sized equipment or cargo is just an easy task. Versatility – Carrying larger and heavier vehicles or cargo is not the option for hot shot drivers. They are not equipped to handle the job. When using a flatbed, freight gets loaded quite easily, from the rear and tip. Moreover, some flatbed trailers have a supportive system to hold the loads firmly. This versatility of the trailers makes the loading and unloading process easier within a short period of time. 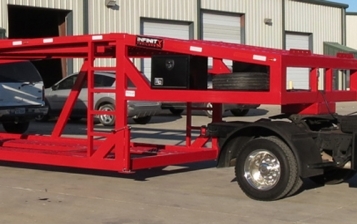 Specialized equipment – Flatbed trailers can be attached with specialized equipment including extendable decks, drop decks, and removable goosenecks. You can also upgrade the truck with enhanced quality of tires and axles. Upgrading the truck allows you to handle the loads in an easy manner. Dimensional flexibility – Carrying loads on a flatbed truck offers incredible dimensional flexibility to any size or shape. 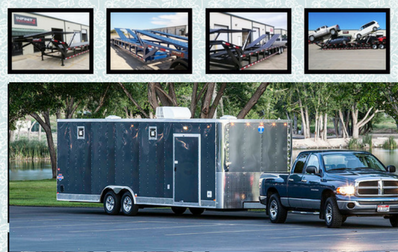 Enhanced convenience – Among all the trailers, flatbeds are the most convenient. Unlike hot shot drivers that use manual labor to get loads in and out of the trucks, loads on a flatbed are moved carefully and safely using a winch or crane. Continuous space – As flatbed trucks are long enough they have a continuously flat surface to carry lengthy vehicles or cargo. 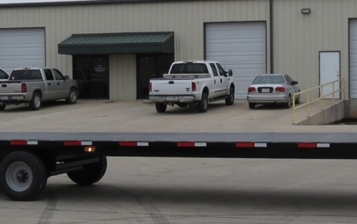 You can get flatbed trailers in different sizes based on your requirement. When carrying heavy loads, flatbed trailers are the best option. To know more about the advantages of flatbed trucking, keep visiting our blog space.